بني في 2011, ذا بايز ووتر سيدني هو ميزة مُضافة لـ سيدني و خيار ذكي للمسافرين. إن موقعه الجيد الذي يبعد 2 km فقط عن مركز المدينة يساعد النزلاء على الاستمتاع بمعالم المدينة ونشاطاتها. بالنسبة لمن يريد الخروج، هذه بعض المعالم السياحية المتوفرة للزوار Kings Cross Inner City, كوكا كولا, Kings Cross. إن ذا بايز ووتر سيدني حريص على توفير الراحة للنزلاء، فلا يوفر الموظفون جهداً في تقديم أفضل الخدمات وضمان حسن الاستقبال. لضمان راحة ضيوفه، يقدم الفندق الخدمات التالية: واي فاي مجاني في جميع الغرف, مكتب الاستقبال على مدار الساعة, تسجيل وصول/خروج سريع, تخزين الأمتعة, واي فاي في المناطق العامة . لقد جهزت هذه الإقامة الفندقية بعناية فائقة لتوفر مستوى عالي من الراحة. في بعض الغرف يجد النزيل تلفزيون بشاشة مسطحة, اتصال لاسلكي بشبكة الإنترنت (مجاني), غرف لغير المدخنين, مكيف هواء, تدفئة. إن مركز للياقة البدنية هو المكان الأمثل في الفندق للاسترخاء وتفريغ طاقتك بعد نهار طويل. إن ذا بايز ووتر سيدني هو مكان مثالي للمسافرين الذين يتطلعون إلى الراحة والاستجمام في سيدني. جميع أنواع الغرف تطبق سياسة صارمة تقضي بإقامة شخصين فقط بحد أقصى في كل غرفة ومنع أي نزيل ثالث إضافي. 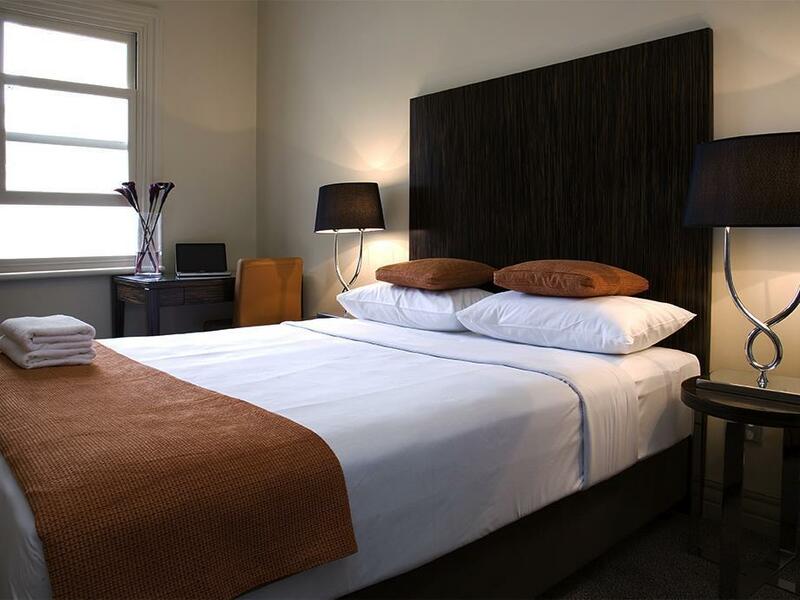 The Bayswater Sydney offers a boutique hotel experience in Kings Cross, just one stop from Circular Quay. Hotel rooms feature premium bedding, a work desk, WiFi access, air-conditioning, large flat screen TV and most important thing is GREAT LOCATION. I’m not sure why there’s bad reviews of this place . I really liked the hotel . It doesn’t have all the bells and whistles but the price reflects that . Simple , clean , easy , comfortable, and location is amazing . Do it ! The staff were friendly and helpful. The bed and room were comfortable (but the bathroom was a bit small). Very conveniently located near a train station with lots of resturants in the surrounding neighborhood. Love this place. Staff always friendly and welcoming. 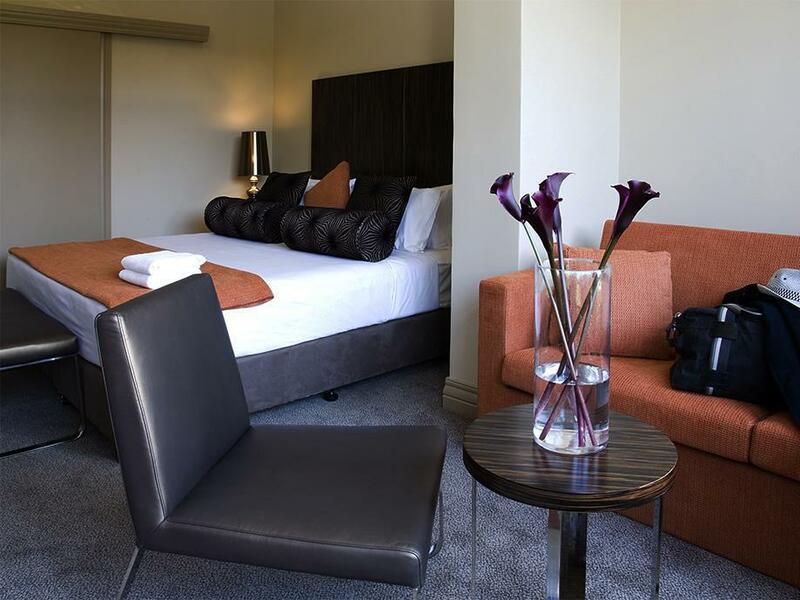 The hotel is located right in the heart of Kingcross surrounded with pubs, bars, train stations, restaurants, with a short 15 mins walking to the CBD of Sydney. The only con will be the hotel is old & worn out, you can hear wood cracking when you stand and walk on it which means that you can clearly hear whats happening outside your hotel room & the room next door even the lightest conversation. Staff are polite and helpful. There is no facilities in the hotel not even a softdrinks & cany bar vending machines but food will always not a problem because there are 24 hours convenient store around the hotel and you will not have any problem getting any snacks middle of the night. There are 2 clubs near the hotel therefore noise is not avoidable especially on weekend, 2 fitness club near the hotel as well and one of them is gay friendly. Recommended for couples or solo travellers not recommended to family with kids. Very helpful and friendly staff, always serve with a smile. Clean and comfortable room. 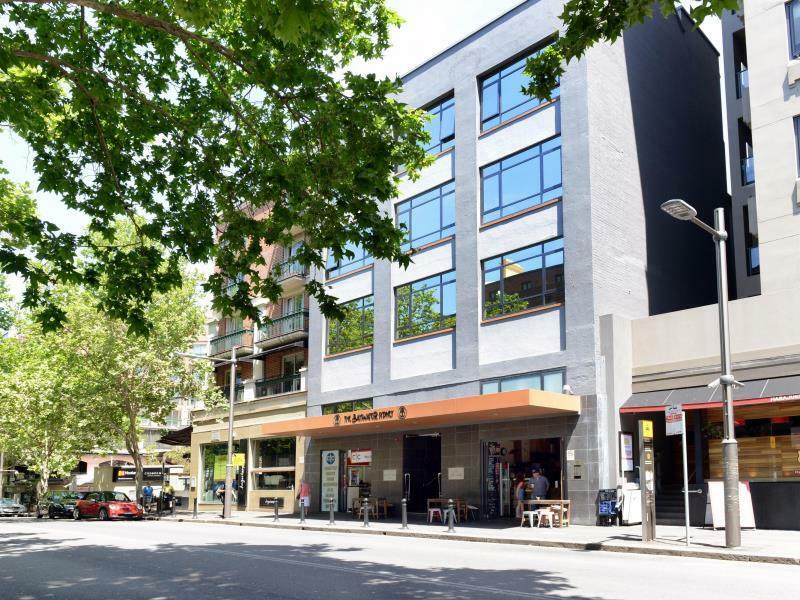 Strategic location, close to Coles and King Cross station. Lots of restaurant and pub around. Airport shuttle is available from the hotel. Overall we had good experience. Highly recommended! Excellent stay hotel staff very helpful especially Eddy & Ken. Nearby supermarket Coles is a plus for shopping. 1 min walk to King Cross Station which connect to all Train & Tram station in Sydney. Hotel provide full board facilities. Value for money. Will recommend friends & relatives who visit Sydney to stay in this hotel. If you're travelling alone and have plenty of time for sight seeing, this will be the best hotel. It's close to the shopping mall and also restaurant. Food wise, they are many varieties from Asian, Indian, Middle East and of course local. Those shopping mall will be category as for average spender. So, you no need to worry to much on the shopping expenses. The from office staff is very friendly too, they can share a lot of information for the sight seeing. Very comfortable room, close to bars and eateries. Does get quite busy and a little rowdy on a Friday night but there is a security guard at the front door to keep non guests out. Lady at the front desk was very friendly and gave us great travel tips. near to the train station, many restaurants nearby the hotel, Coles is just nearby and only 3 mins walk! Comfortable, clean and peaceful. Heard that will be a lot of noise at night but we were so lucky as our room is away from the main road. You can find many breakfast cafe around the street. If you like clubbing, this location is also very ideal. accessibility to transport, food choices and just next to Coles for great grabs! No major complaints. love the accessibility; bus stop just at the door step and train station is less than 3min walk away. will have loved a bigger bathroom, faster lift and free internet access in the room but no big deal given the rates and location. it was good a little hard to find at first but very clean, i like the fact that it was next to everything that we did. and i will diffently be staying there again, because i did not know wbaout it at first but now that i know ill look it up. It was a pleasant stay - we took the train from the airport to the hotel which cost more than their airport shuttle publicised at the front desk. Great coffee and brunch restaurant next door (a club at night). Pleasant stay, clean and affordable. Highly recommended for a couple but a tad small for a family. 3-5mins walk to King's Cross St. Coles Supermarket just at the corner. It's located at the entertainment area, lively and a bit crowded on weekend. I was there with my wife on Feb'2013. We are very satisfied with the hotel staff service. They are very helpful and informative and will give us suggestion for our journey. Hotel room is clean and come with all necessary facilities and we are enjoy our stay. However, we are being located on the ground floor hotel room which we can smell the cigarette smoke from hotel room in the morning. Suggest to close the main door in the morning time. 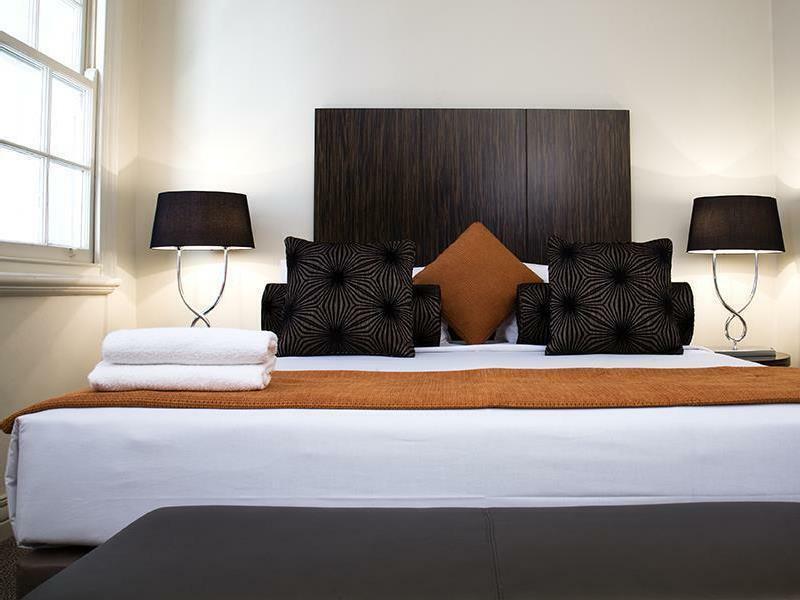 The hotel has perfect location, so close to Kings'Cross Station. But You better not stay if you cannot live through noise. Apart from weekend, there will be several bars full of young boys and girls drinking, dancing. In case you are very into night life, going out, which is perfect. Staff are friendly and helpful. BTW, they have shuttle which is only $12 to airport which is very convenient. If you want to stay in the Kings Cross area, this is a decent hotel. I did not like however that the hotel said it had an airport shuttle service included but really, they phone and 3rd party shuttle service and make you pay for it. There is no room for toiletries in the bathroom and the room was very small. The room was clean, staff was very friendly and helpful and the hotel is close to the Kings Cross subway which will get you to the places you want to visit downtown. 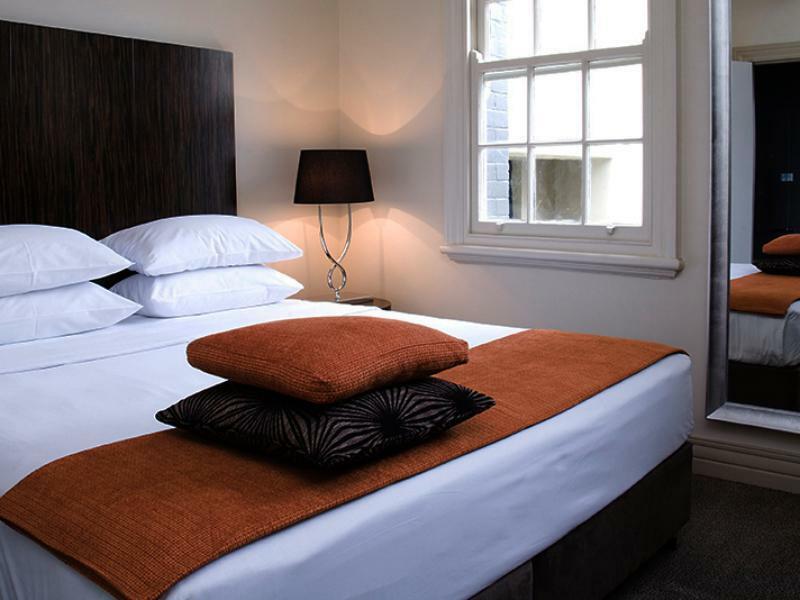 this hotel is situated near king's cross station. even though king's cross is known to be a more rowdy place, we found that the area is generally safe for travellers. the room size is pretty decent, and a plus is the powerful rain shower that they have in the bathroom.